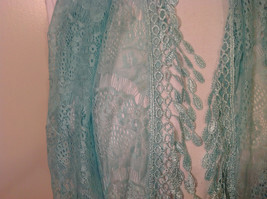 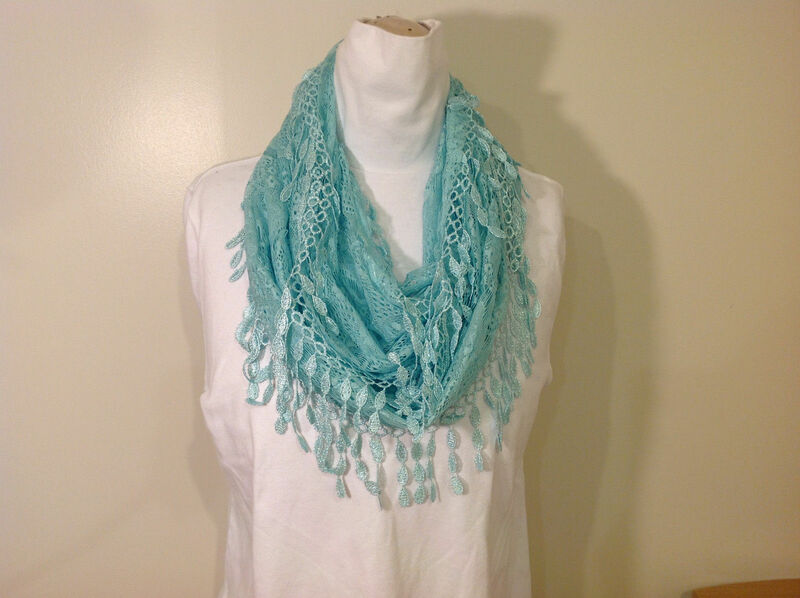 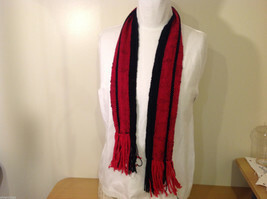 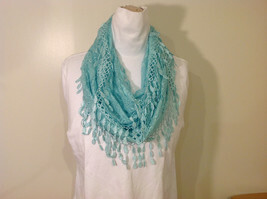 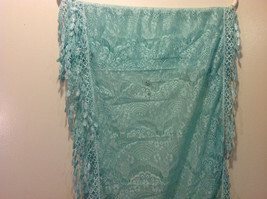 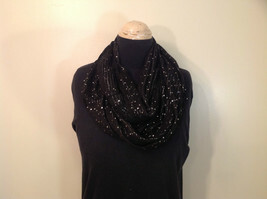 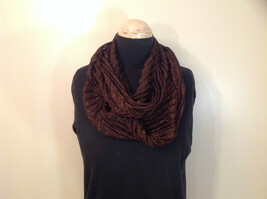 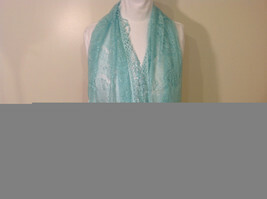 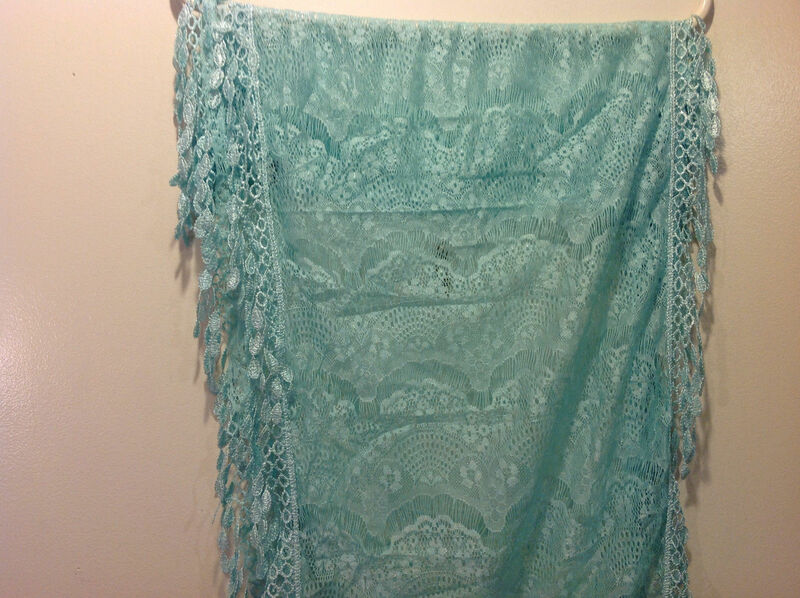 This is a new, Infinity scarf with lace and fringe. 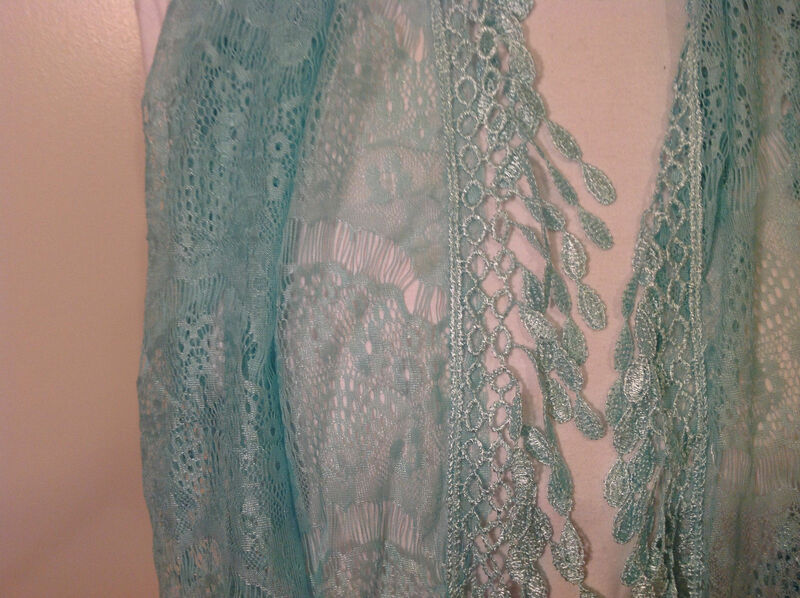 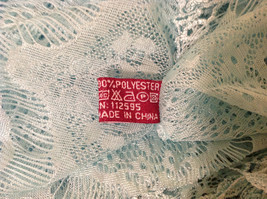 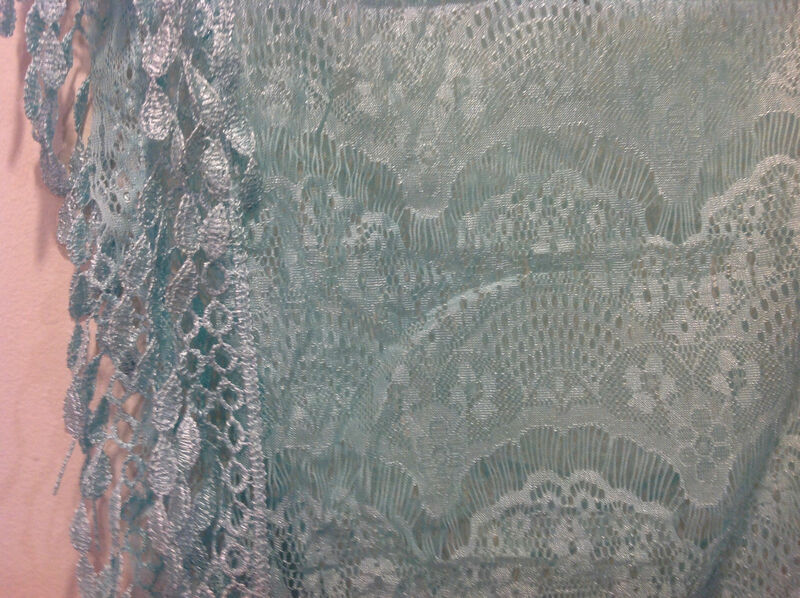 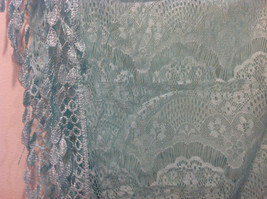 The color is mint (light turquoise). 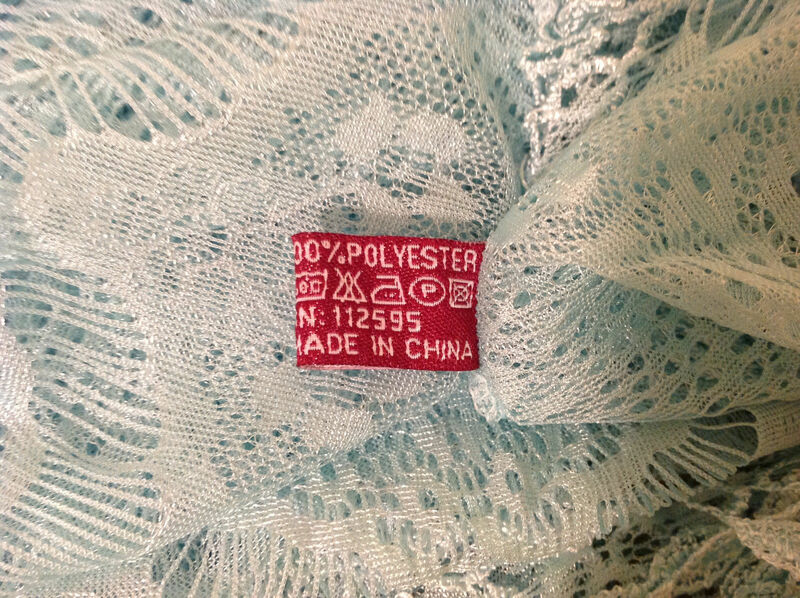 The material is 100 % polyester.